East (59) — Tamiya Battle 4, Shaquala Brown 7, Makaila Cheathem 1, Kailyn Downs 4, Kayla Freeman 14, Promise Gray 6, Jaylin Perry 13, Radarika Washington 4, Aaliyah Mitchell 6. Trezevant (62) — Sachmere Bougard 5, Richara Cooper 2, Shade Hudson 29, Brandy Shannon 3, Kearra Tucker 4, Jessica Walker 19. Collierville (57) — Destiney Amaefula 2, Daija Boyd 4, Trinity Farmer 10, Kyra Pryor 8, Destiny Shaw 6, Alexis Taylor 4, Jada Taylor 5, Lauren Taylor 18. Bartlett (51) — Karagan Coggin 6, Kennedy Crawford 2, Stella Gill 11, Jessica Jackson 14, Ashley Payne 7, Nyla Smith 9, Elizabeth Williams 2. Records — Collierville 11-7, Bartlett 6-8. Southwind (54) — Kesala Allen 2, Asjah Anthony 9, Moneisha Cooper 2, Pinkie Fossett 6, Kira Lowery 14, Essence Rankin 2, Ebony Shaw 19. Jackson Christian (63) — Conley Clouse 1, Kady Beth Cook 18, Kayla Davenport 17, Amelia Grizzell 11, Kelsey Rice 12, Ashlyn Yarbrough 4. Records — Southwind 7-5, Jackson Christian 6-9. Bolton (54) — Tyler Garner 1, Kiki Logan 8, Amrie Nickelson 5, Taylor Smith 13, Lulu Swift 2, Heaven Thompson 17, Kerrice Watson 8. St. Agnes (29) — Amanda Lammey 13, Marisa Lewis 1, Caroline Pietrangelo 4, Kindall Ross 4, Lauren Ryan 2, Mary Wilson Screws 3, Amelia Wigley 2. Records — Bolton 6-10, St. Agnes 3-9. Millington (48) — Tamia Aldridge 14, Jherika Brown 5, Trevona DeSouza 2, Glenda Garner 8, Keyona Johnson 11, Marquisha Sanders 7, Tazerria House 1. Westwood (33) — Carleesia Austin 6, Breanna Boyd 7, Marnique Burton 12, Jamira Jenkins 3, Jasmyne Long 5. Records — Millington 2-12, Westwood 3-8. Whitehaven (34) — Ebony Malone 2, Brianna Shaw 2, Oraya Turner 3, Shmiya Ward 7, Alexus Williams 7, Ariel Williams 10, Jayla Woods 3. Central (67) — Eva Bailey 2, Miyah Barnes 15, Jasmine Carson 14, Tijuana Griggs 2, Johné Stewart 5, Jireh Washington 20, Lanetta Williams 9. Records — Whitehaven 9-4, Central 15-0. West Memphis (37) — Amesha Brown 6, Tykira Bullins 16, Anquenetta Chatt 3, Morgan Christian 5, LaShala Sain 2, Keara Williams 5. White Station (75) — Allanna Black 9, Kayla Bradley 8, Damiah Griffin 8, Kyla Harris 3, Tamia Jones 6, Taelor Manning 9, Dejah Montgomery 11, Brittni Moore 11, Taylor Williams 10. Records — West Memphis 11-3, White Station 14-2. Craigmont (47) — Nakiya Brown 2, Danielle Conley 17, Mariah Houston 2, Akeria James 7, Jessica Neal 12, Daja Scurlock 3, Antinique Williams 4. Arlington (67) — Raegyn Branch 6, Maya Brown 7, Nakia Grandberry 1, Sarah Grandberry 1, Trenity Hill 4, Taylor Lattimore 3, Ashley Lee 13, Callie McMorran 7, Tori Sewell 16, Caitlyn Wilson 9. Records — Craigmont 13-4, Arlington 12-5. Marion (54) — Teiangula Boston 12, Kennedi Boykins 15, Jakyya Clay 5, Ebony Day 10, Mya McCray 1, Tyquesha Selvy 11. Jonesboro (59) — Matte Curtis 6, Amber Hatchett 5, Khiandra Perry 19, Shanei Sloan 3, Starr Taylor 18, D. Webb 6, S. Moore 2. Records — Marion 7-6, Jonesboro 10-4. Harvard Westlake-Calif. (46) — Barroza 3, Tse 15, Tsutsui 18, Ruffus 8, Brown 2. Briarcrest (31) — Morgan Hunt 10, Marika Owens 4, Savanna Owens 7, Julia Perrusquia 7, Rachel Sullivan 1, Lauren Taylor 2. Records — Harvard Westlake-Calif. 11-3, Briarcrest 5-7. Briarcrest (35) — Caitlin Hunt 2, Marika Owens 7, Savanna Owens 11, Julia Perrusquia 6, Rachel Sullivan 4, Lauren Taylor 1, Anna Marie Hays 4. McEachern-Ga. (78) — Lewis 22, Morrison 6, Whilby 9, Wilson 12, Lindsey 2, Oliver 2, Allen 2, McPhearson 2, Addin 10, Brown 5, Clements 2, Ward 4. Records — Briarcrest 5-6, McEachern-Ga. 6-5. Harding (43) — Alexandria Ellis 2, Anna Horner 10, Antoinette Lewis 17, Sarah Luttrell 11, Callie Stubbs 3. Franklin Road Aca. (49) — Pierce 1, R. Casey 11, T. Casey 8, Heldman 6, McKinney 10, Sawyers 13. Middleton (60) — Pledge 3, Warren 12, Perry 8, Mason 12, Jones 12, Smith 13. Lausanne (44) — Breanna Bullock 1, Kat DelPriore 5, Taa'lor Fondren 4, Keyla Pointer 1, Selena Pruitt 25, Princess Stark 8. Records — Middleton 13-0, Lausanne 6-4. Washington-Miss. (19) — Suddoth 2, Ashton 5, Looper 2, Palsanisi 6, Pinon 2, Nichols 2. Northpoint (57) — Ashtyn Baker 7, McKinley Baker 2, Micaela Brown 2, Lauren Gross 11, Hannah Shafer 2, Hadie Sowell 4, Jade Wells 16, Lindsay Whiteside 13. Lafayette-Fla. (27) — Fowler 11, Lewis 6, Pearson 4, Hill 3, Lyons 3. St. Benedict (56) — Taylor Barnes 6, Kennedy Dlabaj 2, Kristina Ferris 3, Nicole Ferris 9, Lili Glenech 3, Myah LeFlore 6, Lauren Neuhoff 4, Courtney Parker 6, Braxton Powers 7, Nicole Ungaro 10. Records — St. Benedict 9-3. Myah Taylor, from Olive Branch High School (Olive Branch, Miss. ), helped the Conquistadors remain perfect on the season following three wins last week to improve to 14-0 overall. The 5'7" junior point guard averaged 29.0 points, 8.0 assists, 5.7 steals and 4.3 rebounds. Through 14 games Taylor is averaging 7.6 assists and nearly 6.0 steals. City University (26) — Taylor Allen 14, Tezala Danner 2, Miracle Gober 8, Makayla Stout 2. Trezevant (43) — Sachmere Bogard 7, Richara Cooper 2, Heaven Frye 2, Shade Hudson 5, Jessica Walker 12, Shannon Brady 8, Jasmine Ellis 4, Jaquisha Vaughn 3. Westwood (36) — Carleesia Austin 3, Breanna Boyd 10, Marnique Burton 13, Ursula Johnson 3, Jasmyne Long 5, Patrice Norrington 2. St. Agnes (49) — Amanda Lammey 19, Marisa Lewis 4, Caroline Pietrangelo 7, Kindall Ross 6, Lauren Ryan 1, Mary Wilson Screws 6, Amelia Wigley 6. Records — Westwood 3-7, St. Agnes 3-8. Millington (48) — Tamia Aldridge 13, Jherika Brown 7, Glenda Garner 19, Keyona Johnson 4, Tazerria House 5. Bolton (70) — Tyler Garner 1, Toni Green 19, Kiki Logan 4, Amrie Nickelson 3, Taylor Smith 6, Lulu Swift 2, Heaven Thompson 22, Briana Tipton 1, Kerrice Watson 12. Records — Millington 1-12, Bolton 5-10. Marion (56) — Teiangula Boston 6, Kennedi Boykins 13, Jakyya Clay 8, Ebony Day 9, Caitlyn Greer 1, Zhani Harris 2, Mya McCray 10, Tyquesha Selvy 7. Jackson Christian (46) — Conley Clouse 6, Kady Beth Cook 4, Kayla Davenport 14, Amelia Grizzell 14, Aspen Guy 2, Kelsey Rice 6. Records — Marion 7-5, Jackson Christian 5-9. Southwind (40) — Kesala Allen 2, Moneisha Cooper 4, Pinkie Fossett 5, Kira Lowery 7, Essence Rankin 3, Ebony Shaw 19. Jonesboro (74) — Matte Curtis 16, Amber Hatchett 9, Khiandra Perry 26, Shanei Sloan 5, Starr Taylor 11, D. Webb 5, Z. Yancy 2. Records — Southwind 7-4, Jonesboro 9-4. Bartlett (36) — Karagan Coggin 2, Stella Gill 2, Jessica Jackson 21, Ashley Payne 8, Nyla Smith 3. Arlington (52) — Raegyn Branch 12, Nakia Grandberry 5, Taylor Lattimore 8, Ashley Lee 5, Callie McMorran 2, Tori Sewell 10, Haylee Smith 2, Caitlyn Wilson 8. Records — Bartlett 6-7, Arlington 11-5. Collierville (46) — Destiney Amaefula 2, Daija Boyd 5, Vanessa Christensen 2, Trinity Farmer 7, Kyra Pryor 6, Destiny Shaw 6, Jada Taylor 8, Lauren Taylor 10. Craigmont (53) — Nakiya Brown 2, Danielle Conley 17, Keveona Fayne 7, Akeria James 8, Jessica Neal 10, Daja Scurlock 8, Jasmine Thornton 1. Records — Collierville 10-7, Craigmont 13-3. Whitehaven (49) — Brianna Shaw 10, K. Taylor 2, Oraya Turner 6, Shmiya Ward 2, Alexus Williams 6, Ariel Williams 14, Jayla Woods 9. White Station (47) — Allanna Black 3, Kayla Bradley 4, Damiah Griffin 3, Tamia Jones 6, Dejah Montgomery 13, Brittni Moore 11, Taylor Williams 7. Records — Whitehaven 9-3, White Station 13-2. West Memphis (38) — Amesha Brown 8, Tykira Bullins 7, Anquenetta Chatt 12, Sable Greer 4, LaShala Sain 4, Niyah Townsend 2, Keara Williams 1. Central (60) — Miyah Barnes 6, Jasmine Carson 9, Brianna Cooks 7, Tijuana Griggs 1, Breonna Hopkins 3, Brittney Ivory 4, Kynadi Kuykendoll 5, Jireh Washington 21, Lanetta Williams 4. Records — West Memphis 11-2, Central 14-0. Davidson Aca. 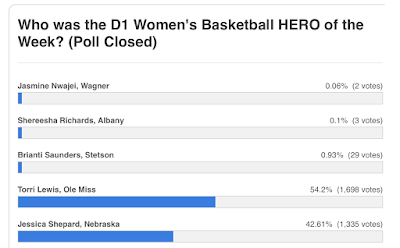 (38) — Gdosonnat 3, Smith 11, Okeke 12, A. Vandlen 3, B. Vandlen 6, Lee 3. Harding (49) — Jacaila Davis 5, Alexandria Ellis 2, Anna Horner 8, Antoinette Lewis 18, Sarah Luttrell 8, Callie Stubbs 8. Harding (52) — Jacaila Davis 4, Alexandria Ellis 4, Valecia Harris 3, Anna Horner 12, Antoinette Lewis 14, Sarah Luttrell 12, Callie Stubbs 3. Bradford-Tenn. (44) — Taylor 7, Mathis 2, Cooper 2, N. Martin 4, Sharp 3, M. Martin 20, Thetford 5, McAlister 1. Lausanne (64) — Breanna Bullock 11, Kat DelPriore 13, Taa'lor Fondren 7, Keyla Pointer 2, Selena Pruitt 24, Princess Stark 7. Dyersburg (53) — Bailey 8, Crawford 12, Smith 11, Thompson 22. Tipton-Rosemark Aca. (50) — Taylor Beasley 9, Brooke Bridges 5, Ally Naifeh 26, Megan Sanfratello 6, Emily West 4. Baker-Fla. (37) — Cain 14, Parisi 2, Coleman 11, Black 2, Watts 8. Records — Tipton-Rosemark Aca. 7-6. St. Benedict (56) — Kennedy Dlabaj 8, Kristina Ferris 3, Nicole Ferris 12, Myah LeFlore 9, Lauren Neuhoff 2, Courtney Parker 4, Braxton Powers 9, Nicole Ungaro 9. Freeport-Fla. (11) — McBride 3, Turner 2, Morrison 2, Harris 2, Williams 2. Records — St. Benedict 8-3. Rossville Christian (49) — Maddie Anderson 4, Gracie Cairncross 2, Hannah Hurdle 2, Caroline Loftin 21, Mary Cathryn Mathis 4, Kara Novarese 16. NEACHE (34) — Rebekah Manley 2, Cassidy Clayton 13, Stephanie Wallace 3, Aubrey Wallace 2, Rachel Manley 3, Emily Sherrill 6, Anna Griffin 5. Records — Rossville Christian 11-3. Pillow Academy-Miss. (26) — Lyon 2, Brock 2, L. Colquett 4, H. Colquett 2, Bailey 4, Harmon 4, Rodgers 2, Plumuett 6. Northpoint (59) — Ashtyn Baker 14, Micaela Brown 2, Lauren Gross 7, Hannah Shafer 2, Caroline Swindoll 2, Jade Wells 21, Lindsay Whiteside 11. Mitchell (56) — Vertonia Bady 19, Dominique Chatman 6, DeMiya Grandberry 7, Dominique McAdory 4, Derinisha Taylor 9, Anterrika Willis 8, Zakiyyah Withers 3. Earle-Ark. (52) — Baker 16, Sanders 8, C. Childs 5, Ford 8, Logan 4, Allen 3, Bowers 2, L. Childs 4, Smith 2. MURFREESBORO — An 18-6 run by Booker T. Washington was too much for La Vergne to overcome. La Vergne fell to Booker T. Washington 52-42 in its matchup in the State Farm Classic at Riverdale High Tuesday. After a close first quarter, Booker T. Washington led 20-19 midway through the second period, then closed out the first half by scoring the final six points to take a 26-19 halftime lead. 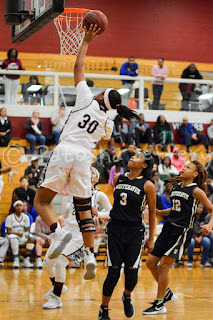 The Lady Wolverines (5-8) scored two straight baskets to start the third quarter, cutting the gap to 26-23, but Booker T. Washington responded by outscoring La Vergne 12-2 to take a commanding 38-25 lead. The Lady Wolverines were never able to recover. During this stretch Booker T. Washington (7-5) outrebounded La Vergne 10-3. Booker T. Washington’s Asia Mosley and Tiana Williams were forces on the boards. Williams had five in the third quarter and eight for the game. Both also drew fouls and got to the free-throw line, getting La Vergne in foul trouble. La Vergne’s Seana Morris, who scored 15 points, fouled out in the fourth quarter. “That was crucial, because she was our leading scorer tonight,” said Francis. The Lady Wolverines cut the gap to seven to start the fourth quarter 40-33, but Booker T. Washington responded with a 9-3 run to put the lead back into double digits. La Vergne: Seana Morris 15, Lexus Story 10, Brandi Davis 6, Chandler DeMoss 6, Brianna Chapman 5. Booker T. Washington: Carrnesha Griggs 16, Asia Mosley 16, Tiana Williams 10, Lavesha Parish 5, Niesha Thomas 3, Darrinshea Jackson 2. Updated Bracket with Championship Day Matchups! Central (74) — Miyah Barnes 15, Jasmine Carson 25, Brianna Cooks 6, Tijuana Griggs 2, Kynadi Kuykendoll 7, Johné Stewart 6, Jireh Washington 9, Lanetta Williams 4. Arlington (69) — Raegyn Branch 29, Nakia Grandberry 4, Taylor Lattimore 5, Ashley Lee 7, Callie McMorran 17, Tori Sewell 4, Caitlyn Wilson 3. Records — Central 13-0, Arlington 10-5. West Memphis (73) — Anquenetta Chatt 15, Keara Williams 6, Sable Greer 19, Morgan Christian 2, LaShala Sain 10, Amesha Brown 10, Niyah Townsend 2, Tykira Bullins 9. Bartlett (61) — Karagan Coggin 2, Stella Gill 2, Jessica Jackson 17, Ashley Payne 8, Nyla Smith 6, Dee Dee Williams 13, Elizabeth Williams 13. Records — West Memphis 11-1, Bartlett 6-6. White Station (67) — Allanna Black 9, Damiah Griffin 14, Kyla Harris 6, Tamia Jones 13, Dejah Montgomery 8, Brittni Moore 7, Taylor Williams 10. Craigmont (43) — Nakiya Brown 3, Danielle Conley 20, Keveona Fayne 8, Jessica Neal 4, Daja Scurlock 8. Records — White Station 13-1, Craigmont 12-3. Bolton (38) — Tyler Garner 3, Toni Green 1, Kiki Logan 2, Taylor Smith 4, Heaven Thompson 12, Kerrice Watson 11, Misha Wright 5. Jackson Christian (63) — Kelsey Rice 17, Sydney Watson 4, Amelia Grizzell 5, Kady Beth Cook 20, Kayla Davenport 8, Conley Clouse 7, Ashlyn Yarbrough 2. Records — Bolton 4-10, Jackson Christian 5-8. St. Agnes (54) — Amanda Lammey 18, Marisa Lewis 10, Caroline Pietrangelo 8, Lauren Ryan 2, Mary Wilson Screws 2, Amelia Wigley 13, Hayden Lee 1. Jonesboro (58) — Starr Taylor 23, Matte Curtis 9, Khiandra Perry 20, Amber Hatchett 3, Shanei Sloan 3. Records — St. Agnes 2-8, Jonesboro 8-4. Millington (30) — Tamia Aldridge 16, Jherika Brown 2, Traci Clark 2, Glenda Garner 8, Keyona Johnson 2. Marion (54) — Teiangula Boston 7, Kennedi Boykins 2, Jakyya Clay 13, Ebony Day 12, Caitlyn Greer 4, Mya McCray 8, Tyquesha Selvy 4, Zhani Harris 4. Records — Millington 1-11, Marion 6-5. Southwind (75) — YáTaria Coleman 7, Moneisha Cooper 5, Pinkie Fossett 7, Kyra Hammond 6, Kira Lowery 6, Dazae Marshall 5, Essence Rankin 3, Ebony Shaw 36. Westwood (52) — Carleesia Austin 6, Breanna Boyd 3, Marnique Burton 16, Jasmyne Long 8, Tacorria Stokes 16, Markeila Burton 3. Records — Southwind 7-3, Westwood 3-6. Collierville (43) — Destiney Amaefula 3, Daija Boyd 2, Vanessa Christensen 2, Trinity Farmer 7, Kyra Pryor 15, Alexis Taylor 3, Jada Taylor 2, Lauren Taylor 9. Whitehaven (48) — Paige Harris 4, Brianna Shaw 7, Oraya Turner 5, Shmiya Ward 2, Alexus Williams 11, Ariel Williams 10, Jayla Woods 5, K. Taylor 4. Records — Collierville 10-6, Whitehaven 8-3. Briarcrest (40) — Caitlin Hunt 2, Morgan Hunt 9, Marika Owens 7, Savanna Owens 12, Julia Perrusquia 5, Rachel Sullivan 5. Atascocita-Texas (38) — Gabriel 3, Bunks 10, Brown 13, Hankins 6, Cato 3, Hopkins 2, Williams 1. Rossville Christian (59) — Gracie Cairncross 4, Caroline Loftin 27, Alexis Long 2, Mary Cathryn Mathis 10, Kara Novarese 16. Falkner-Miss. (40) — Bates 8, Hunt 15, Bridges 14, Griffin 3. Records — Rossville Christian 10-3. Northpoint (54) — Ashtyn Baker 14, Lauren Gross 12, Hannah Shafer 4, Jade Wells 13, Lindsay Whiteside 11. Kirk Aca. (53) — Box 4, Hudspeth 13, Johnson 20, Rose 3, E. Taylor 8, M. Taylor 2, Woods 3. Records — Northpoint 8-1, Kirk Aca. 12-4. Fort Smith Southside (57) — Carson 21, Meares 13, Lockhart 5, Sober 3, Sanford 2, Rainwater 5, Hernandez 8. Mitchell (43) — Vertonia Bady 13, Dominique Chatman 3, DeMiya Grandberry 3, Derinisha Taylor 7, Anterrika Willis 17. Records — Fort Smith Southside 2-5, Mitchell 8-5. MHEA (46) — Annaliese Burnett 6, Ashley Carson 2, Jamie Crum 23, Kylie Loadholt 4, Catie Shoemaker 2, Lindsey Vaughn 9. Ridgeway (45) — Brandi Beasley 13, Mericle Blake-Hall 13, Elizabeth Dixon 11, Cassye Greer 8. Freeport-Fla. (22) — McBride 3, Head 11, Morrison 2, Bates 2, Knight 2, Williams 2. Tipton-Rosemark Aca. (46) — Taylor Beasley 7, Ally Naifeh 6, Megan Sanfratello 15, Abby West 10, Emily West 8. Torri Lewis (MHEA) has always been a Memphis area HERO!!!!! 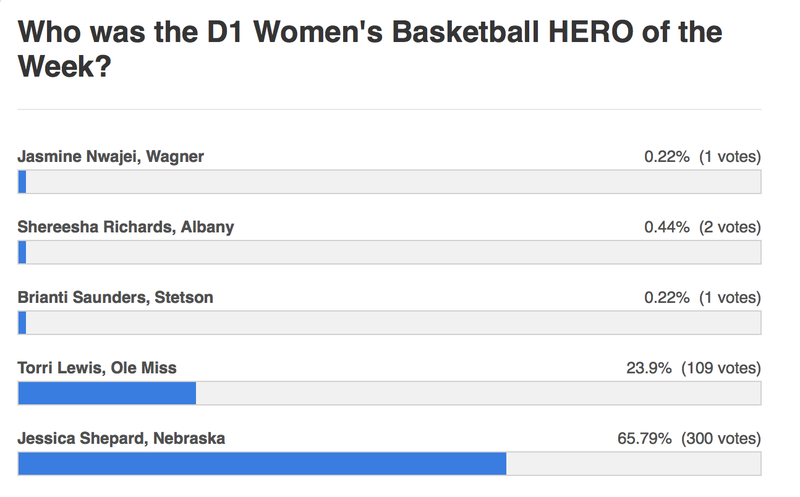 And now we can say that she is an NCAA D1 Women's Basketball Hero of the Week!!!!! Congrats Torri!!! 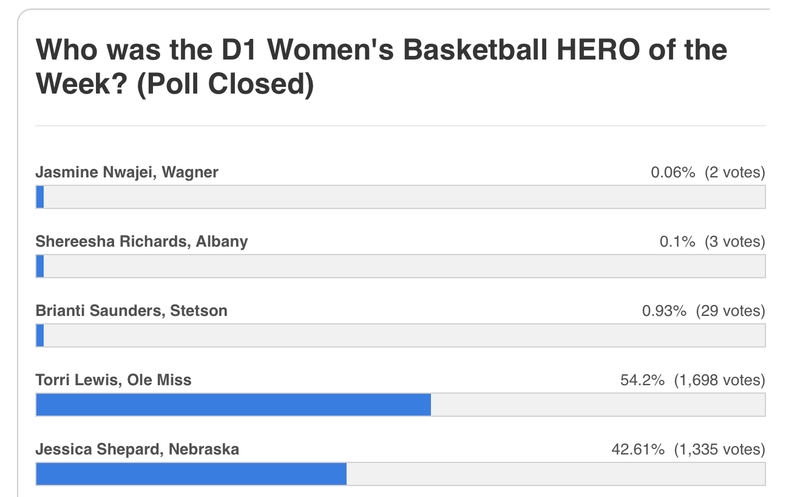 Great job everyone on voting!!! It looked rough in the beginning and got tight yesterday but the game isn't over until the horn sounds!!!! And this was the end result!! 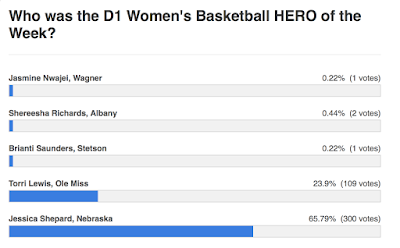 To date, this was the most Total Votes the Hero of the Week competition has had with 3, 133. Southwind (42) — Kesala Allen 1, YáTaria Coleman 10, Pinkie Fossett 4, Kira Lowery 3, Dazae Marshall 1, Ebony Shaw 23. Bartlett (59) — Kennedy Crawford 2, Stella Gill 3, Jessica Jackson 27, Ashley Payne 11, Teaya Reaves 2, Nyla Smith 4, Dee Dee Williams 4, Elizabeth Williams 6. Records — Southwind 6-3, Bartlett 6-5. 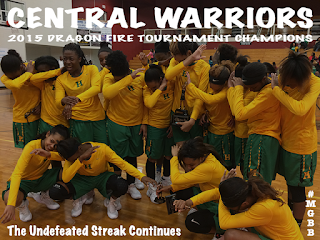 Central (67) — Eva Bailey 2, Miyah Barnes 9, Jasmine Carson 17, Brianna Cooks 8, Tijuana Griggs 10, Kynadi Kuykendoll 2, Sarina Rodgers 4, Jireh Washington 11, Lanetta Williams 4. St. Agnes (26) — Amanda Lammey 12, Caroline Pietrangelo 4, Lauren Ryan 2, Mary Wilson Screws 2, Amelia Wigley 4, Hayden Lee 2. Records — Central 12-0, St. Agnes 2-7. White Station (46) — Allanna Black 4, Damiah Griffin 9, Tamia Jones 10, Taelor Manning 2, Dejah Montgomery 10, Brittni Moore 9, Taylor Williams 2. Bolton (21) — Ceecee Craft 2, Tyler Garner 2, Toni Green 5, Kiki Logan 5, Marquisa McGregory 1, Briana Tipton 1, Kerrice Watson 2, Misha Wright 3. Records — White Station 12-1, Bolton 4-9. Christian (50) — Kelsey Rice 7, Sydney Watson 6, Amelia Grizzell 3, Kady Beth Cook 10, Catie Beth Hatch 5, Kayla Davenport 8, Conley Clouse 2, Aspen Guy 9. Records — Craigmont 12-2, Jackson Christian 4-8. Arlington (68) — Raegyn Branch 8, Maya Brown 4, Nakia Grandberry 3, Trenity Hill 2, Taylor Lattimore 6, Ashley Lee 9, Tori Sewell 19, Haylee Smith 4, Caitlyn Wilson 13. Jonesboro (52) — Starr Taylor 25, Matte Curtis 10, Khiandra Perry 10, Amber Hatchett 2, Shanei Sloan 5. Records — Arlington 10-4, Jonesboro 7-4. Collierville (64) — Destiney Amaefula 4, Nadia Baker 2, Daija Boyd 7, Trinity Farmer 5, Macee Horner 2, Kyra Pryor 14, Destiny Shaw 6, Alexis Taylor 2, Jada Taylor 5, Lauren Taylor 15, Bethany Harbin 2. Millington (39) — Tamia Aldridge 8, Jherika Brown 7, Traci Clark 2, Glenda Garner 8, Tayunna Hickerson 3, Keyona Johnson 6, Marquisha Sanders 5. 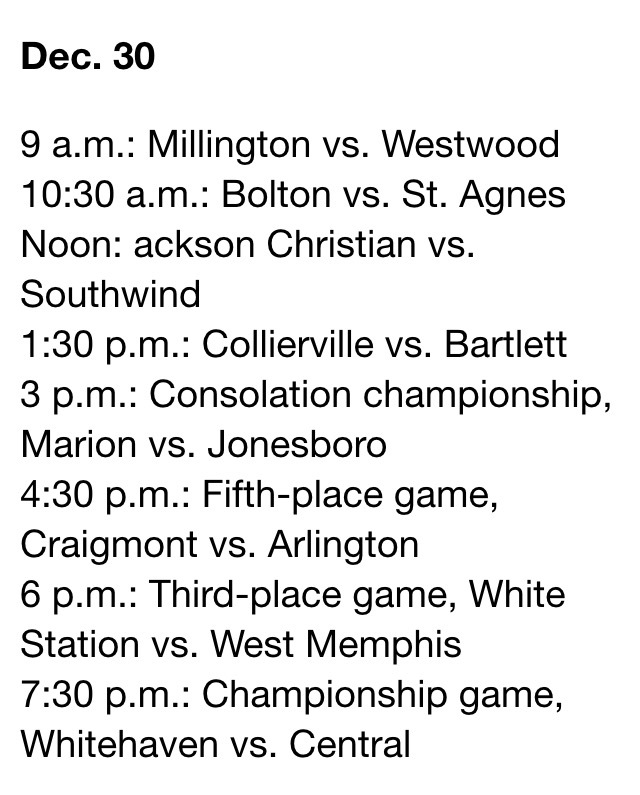 Records — Collierville 10-5, Millington 1-10. West Memphis (60) — Anquenetta Chatt 3, Takiyah Wesley 2, Lauren Harrison 1, Tatyana Burks 7, Keara Williams 1, Sable Greer 13, Anquanette Higgs 4, Morgan Christian 7, Taylor Johnson 3, Jayla Shephard 3, Lashala Sain 9, Amesha Brown 7. Westwood (17) — Breanna Boyd 6, Marnique Burton 2, Ursula Johnson 3, Jasmyne Long 3, Tacorria Stokes 3. Records — West Memphis 10-13, Westwood 3-4. Whitehaven (55) — Ebony Malone 2, Brianna Shaw 4, Oraya Turner 10, Shmiya Ward 4, Alexus Williams 5, Ariel Williams 25, Jayla Woods 5. Marion (40) — Teiangula Boston 6, Kennedi Boykins 4, Jakyya Clay 13, Ebony Day 12, Mya McCray 1, Tyquesha Selvy 2, Zhani Harris 2. Records — Whitehaven 7-3, Marion 5-5. Jamie Crum, MHEA: The sharp-shooting Crum scored 22 points as the Eagles won the championship at the More Than Basketball Classic, defeating host Harding in the final 54-36. She added 17 more in a 70-47 win over Lausanne on Tuesday to help the defending home-school national champions improve to 15-3. St. George's (49) — Katherine Clayton 2, Ann Ragan Grissom 11, Grace Kenley 2, Makayla Smith 2, Miaya Smith 15, Adi Thrasher 17. FACS (39) — Kallan Gresko 7, Bionka Massie 19, Rachel Nix 2, Gabbie White 7, Riley Willard 4. Records — St. George's 2-4, FACS 2-4. MHEA (70) — Annaliese Burnett 18, Ashley Carson 6, Jamie Crum 17, Kylie Loadholt 5, Lauren Milewski 4, Catie Shoemaker 1, Lindsey Vaughn 19. Lausanne (47) — Breanna Bullock 11, Kat DelPriore 8, Taa'lor Fondren 6, Addie Haverkost 2, Selena Pruitt 15, Princess Stark 5. Records — MHEA 15-3, Lausanne 4-3. Arlington (52) — Raegyn Branch 19, Taylor Lattimore 7, Ashley Lee 12, Callie McMorran 6, Caitlyn Wilson 8. Marshall County-Ky. (56) — Fehrenbachar 6, English 17, Powell 2, Davis 13, Langhi 16, Howard 2. Records — Arlington 8-4, Marshall County 7-1. Germantown (52) — Breaunna Burks 20, DeMonica Johnson 5, Destinee Manning 6, Davielle Moore 9, Julie Sandridge 2, Carria Smith 3, Karlynn Woods 7. Collierville (41) — Destiney Amaefula 2, Daija Boyd 5, Trinity Farmer 3, Kyra Pryor 6, Destiny Shaw 3, Alexis Taylor 1, Jada Taylor 12, Lauren Taylor 9. Records — Germantown 5-7 (2-0, 15-AAA), Collierville 9-5 (1-1). Lewisburg (51) — Madison Baldwin 18, Lauren Brady 3, Jessica Deming 11, Claire Fleming 4, Oakley Laughter 8, Andrea Rayford 7. Rossville Christian (58) — Gracie Cairncross 6, Caroline Loftin 26, Mary Cathryn Mathis 13, Kara Novarese 13. Records — Lewisburg 3-9, Rossville Christian 9-3. Arlington (55) — Raegyn Branch 13, Maya Brown 4, Nakia Grandberry 4, Taylor Lattimore 13, Ashley Lee 6, Caitlyn Wilson 13, Sarah Grandberry 2. Allen County-Scottsville-Ky. (54) — Brooks 12, Gregory 15, Sutton 13, Hunt 1, Stafford 3, Towery 6, Day 3, Matter 1. Records — Arlington 8-3, Allen County-Scottsville-Ky. 6-2. Cincinnati Aiken Tech (25) — Johnson 3, Cunningham 7, Porter 9, Aray 5, Thompson 1. Catholic (50) — Zarera Ector 16, Lytia Flowers 13, Dynasty Garrett 2, Deyon Gipson 2, Gabby Moore 13, Cheyenne Smith 2, Shania Smith 2. Catholic (37) — Suzanne Dease 4, Zarera Ector 4, Lytia Flowers 10, Harmony Lucas 4, Gabby Moore 13, Cheyenne Smith 2. Bardstown-Ky. (54) — Koger 4, Love 5, Hughley 7, Culbert 7, Walsh 9, Ja. Boggs 3, Jo. Boggs 6, Spalding 13. Bolton (48) — Toni Green 1, Kiki Logan 11, Amrie Nickelson 3, Taylor Smith 2, Kerrice Watson 17, Misha Wright 14. 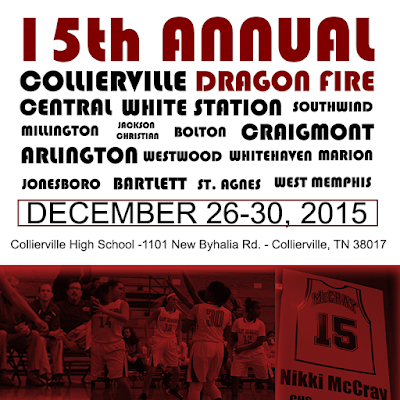 Collierville (64) — Destiney Amaefula 1, Daija Boyd 9, Trinity Farmer 5, Kyra Pryor 14, Jada Taylor 16, Lauren Taylor 19. Records — Bolton 4-8, Collierville 9-4. Munford (37) — Deasha Banks 2, Gabby Crawford 8, Shania Johnson 8, Johnna Jones 14, Deja Potter 4, Kyla Taylor 1. Covington (47) — Tie Bland 13, Kiara Booker 14, Treasuary Poindexter 20. Records — Munford 5-6, Covington 11-2. Marshall Aca. (45) — Julia Nicholson 15, Erin Lomenick 2, Alexis McGregor 3, Audrey Poole 3, Bryanna Miller 5, Blake Martin 17. Fayette Aca. (53) — Abby Hilliard 7, Lauren Lessel 5, Hayley Moffatt 2, Kayli Skelton 38, Alex Wadley 1. Records — Fayette Aca. 7-3. St. Cecilia (48) — Abernathy 14, Erdman 3, Gallagher 12, Lee 18, Albamont 1. Lausanne (52) — Breanna Bullock 6, Kat DelPriore 4, Taa'lor Fondren 11, Keyla Pointer 6, Selena Pruitt 25. Records — St. Cecilia 4-8, Lausanne 4-2. Arlington (49) — Raegyn Branch 13, Nakia Grandberry 3, Taylor Lattimore 7, Ashley Lee 12, Callie McMorran 2, Haylee Smith 2, Caitlyn Wilson 10. Marion (34) — Boston 10, Boykins 6, Clay 1, Day 4, McCray 3, Selby 2, Davis 2, Greer 6. Records — Arlington 7-3, Marion 5-4. Kirk Aca. (35) — Rose 10, Woods 5, Hudspeth 4, Box 4, E. Taylor 2, Thimmes 2, M. Taylor 4, Johnson 4. Northpoint (66) — Ashtyn Baker 16, Lindsay Bramlitt 3, Lauren Gross 14, Hannah Shafer 6, Jade Wells 10, Lindsay Whiteside 17. Records — Kirk Aca. 12-3, Northpoint 7-1. White Station (52) — Kayla Bradley 2, Damiah Griffin 5, Kyla Harris 9, Tamia Jones 11, Dejah Montgomery 8, Brittni Moore 12, Taylor Williams 5. Raleigh-Egypt (37) — Tasia Bland 5, Taylor Bridges 3, Britney Johnson 2, Manaya Jones 16, Jakayla Robinson 3, Whitney Smith 2, Ronni Williams 6. Magnolia Heights (39) — Hannah Gaines 3, Lindley Gaines 8, Maggie Glosson 2, Lee Taylor Jackson 6, Ari Millington 2, Callie Robertson 11, Ann Reagan Sandridge 2, Mari Alex Sandridge 5. Rossville Christian (37) — Gracie Cairncross 2, Hannah Hurdle 4, Caroline Loftin 19, Kara Novarese 12. Records — Magnolia Heights 6-8, Rossville Christian 8-3. Southwind (60) — Kesala Allen 3, Asjah Anthony 4, YáTaria Coleman 14, Moneisha Cooper 2, Kyra Hammond 5, Kira Lowery 11, Dazae Marshall 2, Jada Pittman 1, Essence Rankin 8, Ebony Shaw 8, India Wilson 2. Westwood (28) — Carleesia Austin 2, Breanna Boyd 2, Marnique Burton 5, Jasmyne Long 17, Patrice Norrington 2. Mitchell (56) — Vertonia Bady 8, Dominique Chatman 5, Kiara McCollins 2, Derinisha Taylor 22, Anterrika Willis 19. Whitehaven (73) — Ebony Malone 4, Brianna Pettis 4, Brianna Shaw 16, Oraya Turner 6, Shmiya Ward 8, Alexus Williams 6, Ariel Williams 16, Jayla Woods 13. ECS (40) — Daisha Jiles 2, Emily Lytle 28, Jordan Shackleford 4, Adrienne Teed 4, Claire Waddell 2. Bartlett (42) — Jessica Jackson 17, Ashley Payne 8, Nyla Smith 8, Dee Dee Williams 2, Elizabeth Williams 7. MHEA (54) — Annaliese Burnett 7, Jamie Crum 22, Gigi Lewis 7, Kylie Loadholt 4, Catie Shoemaker 2, Lindsey Vaughn 11, Katie Few 1. Harding (36) — Jacaila Davis 1, Valecia Harris 6, Anna Horner 4, Hadley Horner 5, Abigail Howell 2, Antoinette Lewis 13, Sarah Luttrell 2, Carley Rhoads 1, Callie Stubbs 2. Germantown (26) — Tangie Dunlap 2, Destinee Manning 11, Davielle Moore 6, Carria Smith 3, Karlynn Woods 4. 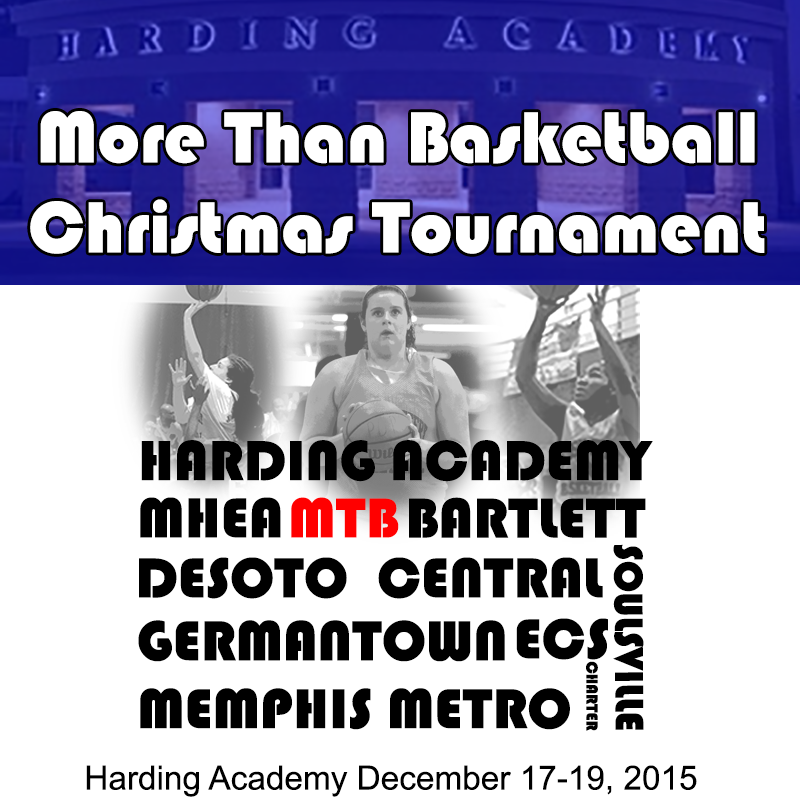 Memphis Metro (37) — Teal Battle 11, Zaire Hicks 15, Christina Nichols 1, Laura Spradlin 1, Ciara Taylor 9. Melrose (35) — Shatira Brooks 8, Keanna Conner 8, Jatera Miller 1, Joelysa Spencer 2, Zanndrea Watkins 16. Bolton (50) — Toni Green 6, Kiki Logan 9, Marquisa McGregory 2, Taylor Smith 6, Lulu Swift 2, Heaven Thompson 6, Kerrice Watson 13, Misha Wright 6. Records — Melrose 4-7, Bolton 4-7. Soulsville (43) — Brianna Brown 8, LaTerica Davis 13, Kaylin Fields 8, Lauren Mays 3, Yuneique Meredith 9, DeZaria Powers 2. City University (38) — Taylor Allen 5, Tezala Danner 2, Miracle Gober 7, Grace Hearns 1, Acacia Phillips 14, Makayla Stout 8, Destiny Taylor 1. Records — City University 1-6. Trezevant (37) — Sachmere Bogard 2, Richara Cooper 1, Shade Hudson 25, Brandy Shannon 3, Kearra Tucker 6. Craigmont (58) — Nakiya Brown 4, Danielle Conley 28, Mariah Houston 2, Akeria James 6, Jessica Neal 6, Daja Scurlock 12. Records — Trezevant 4-4 (2-1, District 16-AA), Craigmont 11-2 (3-0). Cordova (38) — Chardonney Brown 1, Taylor Christian 2, Zakyia Head 3, Brandi Northington 4, Deaundra Poe-Wilkins 3, Jerhonise Rollins 5, Andreana Wrister 13, Q. Kelly 7. Kirby (52) — Dariana Anderson 6, Bryuana Buntyn 4, Marneisha Hamer 16, Desirea Jackson 13, Juantia Walton 13. Records — Cordova 4-8, Kirby 3-9. Covington (61) — Tie Bland 8, Kiara Booker 13, Alexis Johnson 2, M. Johnson 3, Treasure Poindexter 22, Fo'teshia Russell 2, Lamiia Udley 8, Khylee Dowell 3. Millington (34) — Tamia Aldridge 6, Bria Barnes 4, Glenda Garner 11, Tayunna Hickerson 2, Keyona Johnson 3, Marquisha Sanders 8. Records — Covington 9-2 (2-0, District 15-AA), Millington 1-9 (0-2). Munford (51) — Deasha Banks 6, Gabby Crawford 15, Ali Gover 4, Shania Johnson 5, Johnna Jones 9, Deja Potter 8, Kyla Taylor 4. Ripley-Tenn. (23) — Barbee 4, Cooper 5, Currie 2, Lee 11, Davis 1. St. Cecilia (53) — Lee 11, Gallagher 24, Abernathy 14, Erdman 2, Detlart 2. St. Mary's (30) — Lucy Chancellor 2, Kate Herzke 3, Jean Jackson 13, Margie Peeler 2, Evelyn Roberts 3, Mary-Harper Robinson 5, Brett Silver 2. Records — St. Mary's 0-6. Northpoint (69) — Ashtyn Baker 12, Micaela Brown 4, Lauren Gross 7, Amara McKay 4, Hannah Shafer 4, Jade Wells 13, Lindsay Whiteside 25. Tipton-Rosemark Aca. 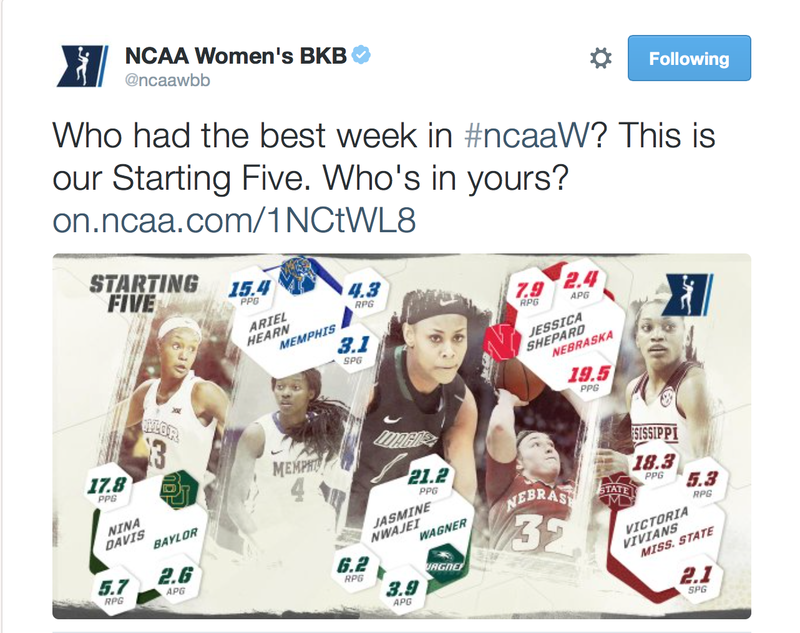 (30) — Kallie Alexander 1, Taylor Beasley 8, Brittany Hall 4, Ally Naifeh 10, Megan Sanfratello 5, Abby West 2. Records — Northpoint 7-1, TRA 5-6. Rossville Christian (44) — Maddie Anderson 6, Breana Bing 4, Gracie Cairncross 4, Hannah Hurdle 8, Caroline Loftin 12, Mary Cathryn Mathis 8, Kara Novarese 2. West Memphis Christian (17) — Andrea Beyer 3, Ashley Beyer 4, Lauren Pike 5, Akilah Watkins 5. Records — Rossville Christian 8-2, West Memphis Christian 0-13. Wooddale (12) — Tracey Benton 2, Lia Carter 1, Terrika Hunt 1, Tarsha Ivory 3, DaShona Richard 5. White Station (63) — Allanna Black 2, Kayla Bradley 9, GiGi Ford 2, Damiah Griffin 14, Kyla Harris 5, Tamia Jones 20, Taelor Manning 1, Dejah Montgomery 3, Brittni Moore 3, Taylor Williams 2, Alexia Nightingale 2. Records — Wooddale 0-6, White Station 10-1. Bartlett (37) — Karagan Coggin 4, Stella Gill 2, Jessica Jackson 11, Ashley Payne 4, Nyla Smith 8, Dee Dee Williams 8. MHEA (49) — Annaliese Burnett 7, Ashley Carson 8, Jamie Crum 20, Gigi Lewis 2, Kylie Loadholt 5, Lindsey Vaughn 7. Germantown (27) — Breaunna Burks 6, Tenitra Davis 1, Tangie Dunlap 2, Destinee Manning 6, Davielle Moore 9, Julie Sandridge 2, Carria Smith 1. Harding (43) — Zaria Christy 3, Jacaila Davis 5, Alexandria Ellis 2, Anna Horner 7, Hadley Horner 7, Antoinette Lewis 6, Sarah Luttrell 7, Elaine Savage 2, Callie Stubbs 4. Memphis Metro (55) — Teal Battle 15, Benise Duhart 2, Grace Harvey 2, Zaire Hicks 18, Christina Nichols 3, Ciara Taylor 15. ECS (51) — Hope Gribble 3, Daisha Jiles 4, Kate Lyons 2, Emily Lytle 35, Jordan Shackleford 4, Adrienne Teed 2, Claire Waddell 1. Records — Memphis Metro 12-5, ECS 8-4. Cordova (34) — P. Bowdery 2, Taylor Christian 5, Zakyia Head 8, Deaundra Poe-Wilkins 6, Jerhonise Rollins 4, Andreana Wrister 5, Q. Kelly 4. 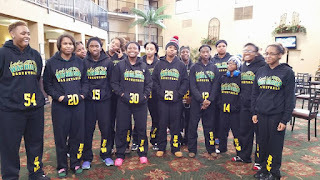 Craigmont (42) — Nakiya Brown 7, Danielle Conley 12, Akeria James 9, Jessica Neal 4, Tiara Reed 2, Daja Scurlock 8. Central (72) — Eva Bailey 3, Miyah Barnes 16, Jasmine Carson 9, Brianna Cooks 9, Tijuana Griggs 2, Kynadi Kuykendoll 8, Johné Stewart 10, Jireh Washington 6, Ariel Lane 4, Brittney Ivory 5. East (34) — Laterrica Black 2, Shaquala Brown 11, Makaila Cheathem 2, Kayla Freeman 8, Promise Gray 2, Jaylin Perry 4, Tondeya Bonds 2, Tamiya Battle 3. Records — Central 11-0, East 2-5. Power Center Aca. (26) — Jada Cooley 2, Zebriana Lee 4, Renae McLaurin 2, Rahja White 4, Kayla Williams 3, Makaila Wright 11. Hutchison (46) — Rainey Charbonnet 7, Gardner Dunavant 8, Elizabeth Farnsworth 6, Macy McCullough 7, Madison Moore 11, Catey Nelson 7. Records — Power Center Aca. 4-4, Hutchison 3-3. Fairley (20) — Dahja Caspillan 3, Diamond Douglas 5, Dai'ja Washington 6, Denisia Williams 2, Rayshonda Norfleet 2, Ronyell Payne 2. Manassas (57) — Joslynn Basemore 17, Ranesha Brown 6, Tonesha Clayborne 3, Alexis Craft 3, Rakeeva Curry 5, Latonia Farley 5, Faith Moore 5, Markeshia Scott 5, Timia Taylor 2, Jasmine Walker 6. Whitehaven (52) — Lavasha Jackson 5, Brianna Pettis 1, Brianna Shaw 2, Oraya Turner 6, Shmiya Ward 2, Alexus Williams 10, Ariel Williams 26. Overton (59) — Derykah Dailey 1, Rodrea Echols 9, Marquesha Fennell 2, Kyla Green 11, Ciera Pettis 20, Kayla Williams 16. Melrose (36) — Shatira Brooks 9, Keanna Conner 11, Joelysa Spencer 6, Zanndrea Watkins 10. White Station (62) — Allanna Black 6, Kayla Bradley 12, Damiah Griffin 12, Kyla Harris 2, Tamia Jones 5, Taelor Manning 2, Dejah Montgomery 8, Brittni Moore 10, Taylor Williams 5. Records — Melrose 4-6, White Station 9-1. ECS (46) — Emma Baltz 3, Hope Gribble 5, Daisha Jiles 7, Emily Lytle 26, Jordan Shackleford 3, Adrienne Teed 2. MHEA (55) — Annaliese Burnett 10, Ashley Carson 7, Jamie Crum 15, Gigi Lewis 4, Kylie Loadholt 2, Lindsey Vaughn 17. Bartlett (46) — Jessica Jackson 26, Ashley Payne 4, Dee Dee Williams 14, Elizabeth Williams 2. Harding (54) — Jacaila Davis 4, Anna Horner 6, Antoinette Lewis 22, Sarah Luttrell 8, Callie Stubbs 14. 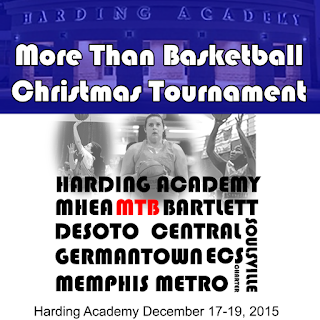 Memphis Metro (31) — Teal Battle 3, Grace Harvey 2, Zaire Hicks 11, Christina Nichols 6, Ciara Taylor 9. Germantown (39) — Breaunna Burks 4, Destinee Manning 13, Davielle Moore 1, Carria Smith 12, Karlynn Woods 4, Jada Horn 5. Records — Memphis Metro 12-4, Germantown 3-7. MLK Prep (17) — Venicia Hooks 6, Dyrianda Johnson 4, Timeria McCullough 1, Unique Miller 2, Quiesha Paige 4. Raleigh-Egypt (63) — Tasia Bland 3, Taylor Bridges 10, Taliyah Davis 7, Diamond Hunt 1, Manaya Jones 16, Jakayla Robinson 5, Ronni Williams 15, Timia Banks 2, Kristen Washington 4. Records — Raleigh-Egypt 5-4 (1-2, District 16-AA). Carver (29) — Brittany Davidson 5, Raven Hall 2, Sydne Harris 2, MaKayla Maxwell 3, Tarciana Sutton 11, Roro Williams 4, M. Thomas 2. W.E.B. DuBois (69) — Alexis Acoff 14, Madalyn Acoff 14, J. Bachus 16, Christal Harris 6, D. Nelson 17, Valessyia Harris 2. Middle College (22) — Brittney Combest 5, Ravina Crawford 5, Domonique Harris 4, Izari Merriweather 7, Destinee Walls 1. GRAD Academy (38) — Bianca Duckett 4, Andrica Barnes 8, Jayla Turner 7, Kanesha Wright 8, Ayana Coppage 3, Jasmine Collins 3, Shantel Collins 5. Records — GRAD Academy 6-0. 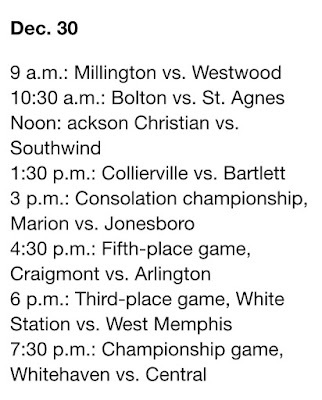 Here is the schedule of games for the Hoop 4 Life vs. Cancer Classic, Dec. 18-19 at Hamilton High School. Brighton (55) — Taliyah Brown 14, Danielle Collins 10, Shayna Johnson 15, Lindsey Morrissette 4, Makayla Rose 4, MG Smith 8. Center Hill (61) — Victoria Dailey 10, Ashia Henderson 1, Danielle Hopkins 6, Kalexis Judge 4, Carrington Kneeland 9, Erica O'Bryant 2, Kirmesha Oliver 9, Jada Spratt 5, Ariel Tunstall 10, Aerrion Marrion 5. Records — Center Hill 5-7. Sheffield (51) — Ayonna Beason 13, Breanna Beason 2, Miata Borders 6, Zamia Fuller 1, Sebrun Johnson 2, Nikita Mays 10, Cabria Thomas 9, Destany White 8. Craigmont (69) — Nakiya Brown 8, Danielle Conley 18, Keveona Fayne 6, Akeria James 10, Jessica Neal 11, Tiara Reed 2, Daja Scurlock 10, Antinique Williams 4. Records — Sheffield 3-6 (0-1, District 16-AA), Craigmont 9-2 (2-0). Central (81) — Eva Bailey 2, Miyah Barnes 32, Brianna Cooks 17, Kynadi Kuykendoll 1, Johné Stewart 14, Jireh Washington 15. Hamilton (67) — Samantha Hill 4, Myeala Isaac 5, Shamya London 11, Kyra Nathan 2, Undrea Porter 8, Takya Reid 22, Tesia Thompson 15. Records — Central 10-0, Hamilton 9-3. MASE (66) — Kayla Foster 5, Rebekah Mitchell 11, Chastiny Moody 2, Kyla Moore 8, Taylor Robinson 17, Dominique Sellers 1, Shernika Spencer 8, Breyanna Warren 14. Hillcrest (25) — Rickiesha Howard 9, Candace McGowan 10, Kadeeja Patterson 3, KéAndrea Debaney 1, Zaria Hence 2. Arlington (48) — Raegyn Branch 8, Maya Brown 7, Taylor Lattimore 3, Ashley Lee 10, Callie McMorran 8, Tori Sewell 12. Horn Lake (43) — Shernique Adams 2, Destiny Bowen 6, Jalyn McClain 2, Ericka Richardson 12, Taelour Richardson 14, Chrissah Shaw 7. Records — Arlington 6-3, Horn Lake 10-2. Southwind (41) — Kesala Allen 3, YáTaria Coleman 11, Pinkie Fossett 4, Kira Lowery 1, Dazae Marshall 2, Essence Rankin 6, Ebony Shaw 14. Houston (82) — Shaela Gardner 3, Madison Griggs 9, Jayla Hemingway 24, Sammiyah Hoskin 4, Rochelle Lee 8, Sydney Malone 7, Kelsey Nadler 3, Jaida Roper 18, Shannon Sharp 6. Records — Southwind 5-3, Houston 10-0. Germantown (48) — Breaunna Burks 5, Tangie Dunlap 4, DeMonica Johnson 1, Destinee Manning 16, Davielle Moore 9, Julie Sandridge 2, Carria Smith 3, Karlynn Woods 8. Kirby (40) — Dariana Anderson 3, Marneisha Hamer 26, Juantia Walton 11. Records — Germantown 3-6 (1-1, District 15-AAA), Kirby 2-9 (0-2). City University (36) — Taylor Allen 9, Tezala Danner 5, Miracle Gober 9, Iesha Miller 2, Acacia Phillips 9, Destiny Taylor 2. MBA (67) — Simphany Gilliard 10, Sha'Quaveria Hamilton 14, Shameria Murry 29, Kamequa Rucker 10, Antionette Shipp 4. St. George's (41) — Kirby Betchick 6, Ann Ragan Grissom 6, Grace Kenley 5, Makayla Smith 9, Adi Thrasher 13, Lindsey Pepper 2. Memphis Metro (69) — Teal Battle 25, Grace Harvey 2, Zaire Hicks 24, Kaila McDaniel 1, Christina Nichols 6, Laura Spradlin 2, Ciara Taylor 6, Sophie Claire Williams 3. Records — Memphis Metro 11-4. Soulsville (32) — Brianna Brown 4, LaTerica Davis 10, Kaylin Fields 2, Yuneique Meredith 11, DeZaria Powers 2, A.T. Smith 3. Mitchell (71) — Vertonia Bady 10, Dominique Chatman 14, Dominique McAdory 4, Kiara McCollins 13, Derinisha Taylor 15, Anterrika Willis 15. Records — Mitchell 8-3 (4-0, District 16-A). Oakhaven (52) — Tayonia Ash 5, MiKayla Beamon 5, Jalecia Cowan 3, Corlishia Howard 33, Moneika Randolph 4, Brandee West 2. Power Center Aca. 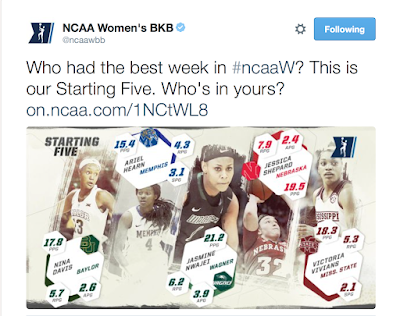 (45) — Kelsey Banks 3, Jada Cooley 4, Jasmine Smith 4, Rahja White 22, Kayla Williams 4, Makaila Wright 8. Records — PCA 4-3 (2-2, District 16-A). Wooddale (23) — Terrika Hunt 2, Tarsha Ivory 11, DaShona Richard 5, Briana Williams 5. Ridgeway (61) — Takesia Barnes 2, Brandi Beasley 26, Mericle Blake-Hall 6, Secret Brown 6, Elizabeth Dixon 12, Cassye Greer 2, Jamilla Hamlett 5, Shenobia Stewart 2. Records — Ridgeway 7-2 (2-0, District 15-AAA). Westwood (51) — Carleesia Austin 11, Breanna Boyd 6, Marnique Burton 11, Cedkenya Crockett 2, Jasmyne Long 8, Tacorria Stokes 13. Trezevant (67) — Sachmere Bogard 3, Kiara Dale 3, Heaven Frye 1, Shade Hudson 37, Emma Jackson 5, Jazmine Richardson 2, Brandy Shannon 9, Kearra Tucker 3, Jessica Walker 4. Records — Westwood 3-3 (0-1, District 16-AA), Trezevant 4-3 (2-0). White Station (69) — Allanna Black 4, Kayla Bradley 7, Damiah Griffin 24, Kyla Harris 2, Taelor Manning 3, Dejah Montgomery 9, Brittni Moore 14, Taylor Williams 6. Whitehaven (60) — Lavasha Jackson 10, Ebony Malone 2, Brianna Pettis 2, Brianna Shaw 7, Shmiya Ward 2, Alexus Williams 14, Ariel Williams 21, Jayla Woods 2. Bracket has been updated - Tuesday, December 15, 2015. Soulsville (17) — Brianna Brown 7, LaTerica Davis 3, Yuneique Meredith 3, DeZaria Powers 2, Cortayshea Lott 2. Catholic (79) — Suzanne Dease 2, Zarera Ector 8, Lytia Flowers 19, Dynasty Garrett 2, Deyon Gipson 2, Harmony Lucas 7, Gabby Moore 26, Cheyenne Smith 2, Shania Smith 11. Washington (89) — Erica Bogard 2, Carnessia Griggs 11, Derrinesha Jackson 20, Myneshia Johnson 6, Asia Mosley 6, LeVesha Parish 7, Hermeshia Perkins 4, Niesha Thomas 12, Brianna White 12, Tiana Williams 9. Memphis School of Excellence (12) — J. Baptist 1, Tya Harvey 4, Shantell Turner 3, A. Abston 4. Tipton-Rosemark Aca. (39) — Kallie Alexander 6, Taylor Beasley 6, Brittany Hall 2, Ally Naifeh 17, Megan Sanfratello 6, Abby West 2. Millington (45) — Tamia Aldridge 8, Bria Barnes 2, Jherika Brown 6, Traci Clark 2, Glenda Garner 11, Tayunna Hickerson 2, Keyona Johnson 10, Marquisha Sanders 4. Records — Tipton-Rosemark Aca. 5-6, Millington 1-7. Manassas (60) — Joslynn Basemore 23, Ranesha Brown 7, Rakeeva Curry 2, Latonia Farley 10, Markeshia Scott 5, Timia Taylor 8, Jasmine Walker 5. MLK Prep (30) — Dyrianda Johnson 16, Unique Miller 5, Quiesha Paige 2, Davari Pearson 7. 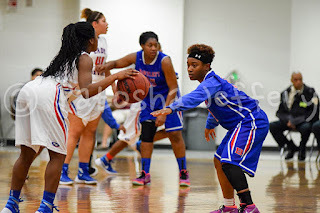 MAHS (21) — Tamia Boyland 4, Alexis Davis 2, Joi Gary 7, Venesha Jett 6, Kayla Shelley 2. Oakhaven (52) — Tayonia Ash 19, MiKayla Beamon 3, Jalecia Cowan 1, Corlishia Howard 23, Evetta Shannon 2, Jazlynn Smith 2, Brandee West 2. Records — Oakhaven 5-3 (3-2, 16-A). Carroll Aca. (13) — Ava Baker 7, Jala Winters 6. Rossville Christian (56) — Maddie Anderson 6, Breana Bing 6, Gracie Cairncross 9, Hannah Hurdle 2, Caroline Loftin 11, Alexis Long 4, Mary Cathryn Mathis 8, Kara Novarese 8, Esther Beasley 2. Records — Carroll Aca. 0-10, Rossville Christian 7-2. Harding (38) — Jacaila Davis 1, Anna Horner 11, Antoinette Lewis 23, Sarah Luttrell 3. St. Benedict (52) — Taylor Barnes 10, Kristina Ferris 2, Nicole Ferris 5, Myah LeFlore 6, Courtney Parker 15, Nicole Ungaro 14. Records — Harding 5-2, St. Benedict 7-3. 3rd Annual Winter Skills Camp takes place Dec. 21-23 & 28-30 at Davis Community Center 3371 Spottswood Ave., Memphis, TN 38111. 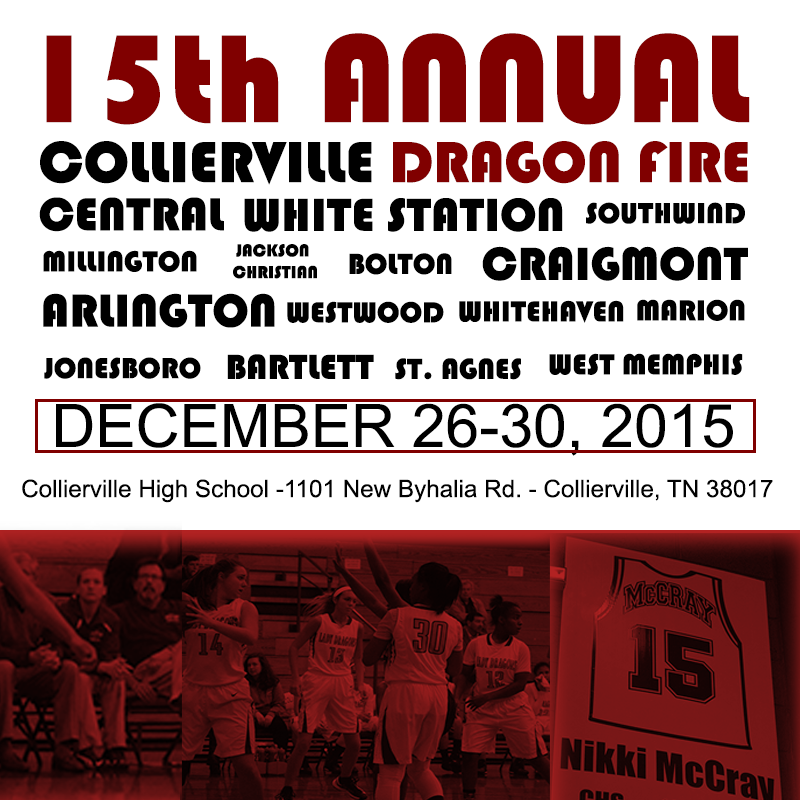 Text Coach Bell 901-690-5015 to reserve spots or email memphisladymambas@gmail.com Spots are limited. Wait a minute! WAIT JUST ONE MINUTE! I thought White Station's Damiah Griffin was a post player. I could have sworn she has been playing in the post since I've been watching her play in high school. Then this past summer during the University of Memphis team camp, I saw her dropping bucket after bucket after bucket FROM THE PERIMETER. I almost fell off the table I was sitting on. Then I forgot all about it. UNTIL I went to watch White Station scrimmage Northpoint. 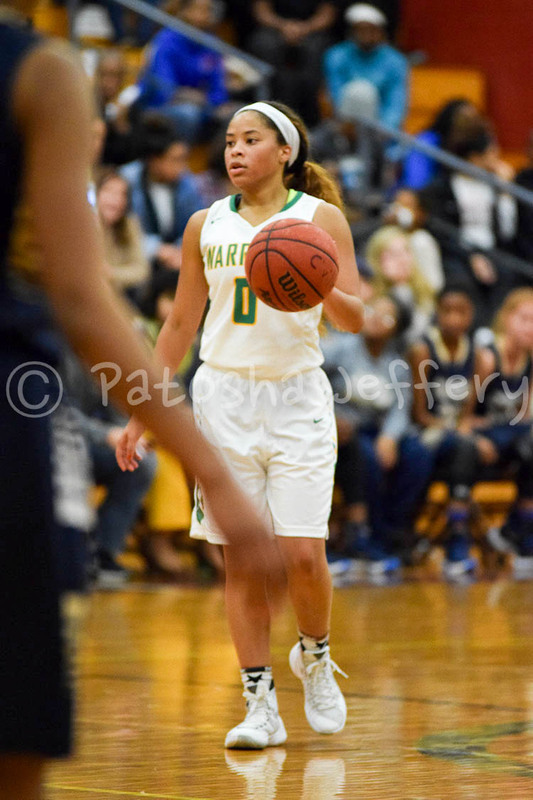 I have never in all my almost 15 years of closely watching girls basketball in Memphis seen a player move from the post to the guard position and BLOSSOM the way she has. And I say move from the post to guard position loosely because she plays both positions. White Station is a dynamic team to me. 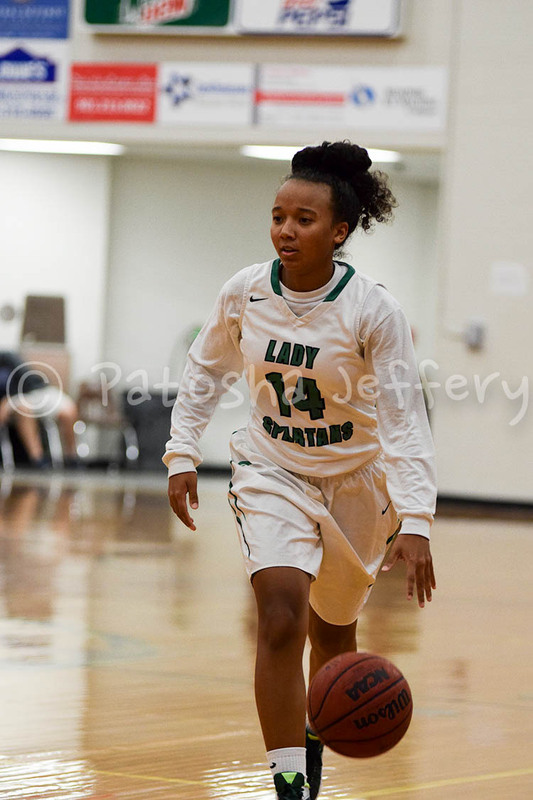 They can go big with Damiah on the perimeter at 6'0 along with a 6'1 and 6'2 post. Then the team can go small and quick with Damiah as a post player. 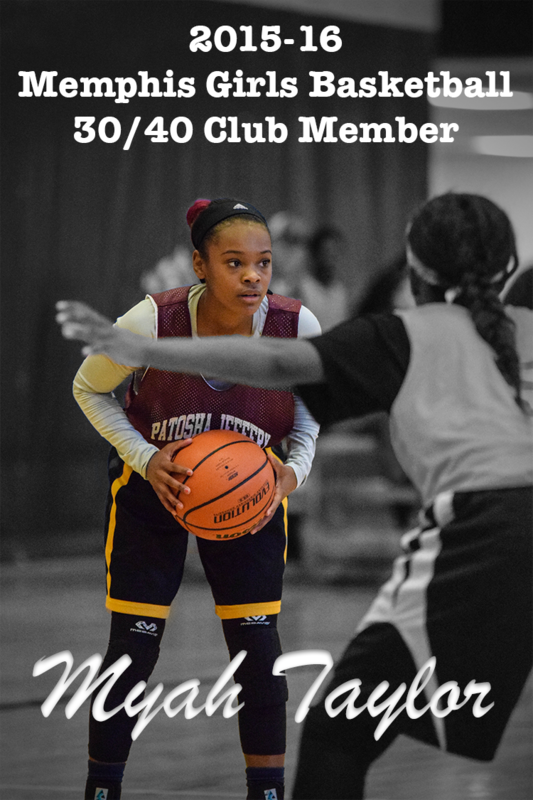 As you will see in the video, she is a nightmare on defense with her long arms and quickness. Then she is a nightmare for the defense with her abilities to score in a variety of ways: jump shot, off the dribble, back to the basket, cutting to the basket, with her left and right hand on the block and off stick backs. St. Benedict (51) — Taylor Barnes 15, Catalina Carrasco 2, Nicole Ferris 11, Myah LeFlore 10, Courtney Parker 4, Nicole Ungaro 9. Arlington (54) — Raegyn Branch 12, Taylor Lattimore 11, Ashley Lee 15, Tori Sewell 9, Caitlyn Wilson 7. Records — St. Benedict 6-2, Arlington 5-3. USJ (55) — Jett 5, Pickens 1, A. Jones 23, Aristorenas 2, Tenpenny 3, E. Jones 5, Hulme 14, Hensley 2. Briarcrest (42) — Morgan Hunt 22, Marika Owens 7, Savanna Owens 13. Records — USJ 11-0, Briarcrest 3-5. Brighton (31) — Taliyah Brown 7, Danielle Collins 7, Kailey Hunt 1, Shayna Johnson 4, Makayla Rose 4, Sam Sloan 6, Alyssa Hunt 2. Covington (59) — Bland 17, Booker 8, Cyeisha Hall 1, A. Johnson 1, M. Johnson 6, Poindexter 12, Russell 2, Udley 7, Cadaija Hall 2, M. Walker 3. Records — Brighton 5-3, Covington 7-2. Fayette Aca. (28) — Lauren Lessel 9, Kayli Skelton 14, Heather Slocum 5. ECS (33) — Emma Baltz 6, Hope Gribble 3, Daisha Jiles 2, Kelly Kuenzinger 6, Emily Lytle 16. Records — Fayette Aca. 6-3, ECS 7-3. Catholic (59) — Zarera Ector 8, Lytia Flowers 19, Dynasty Garrett 2, Deyon Gipson 8, Harmony Lucas 5, Gabby Moore 10, Cheyenne Smith 2, Shania Smith 5. O'Bannon-Miss. (23) — Reynolds 6, Spiller 5, Person 1, Shaw 1, Smith 1, Richardson 6, Williams 3. 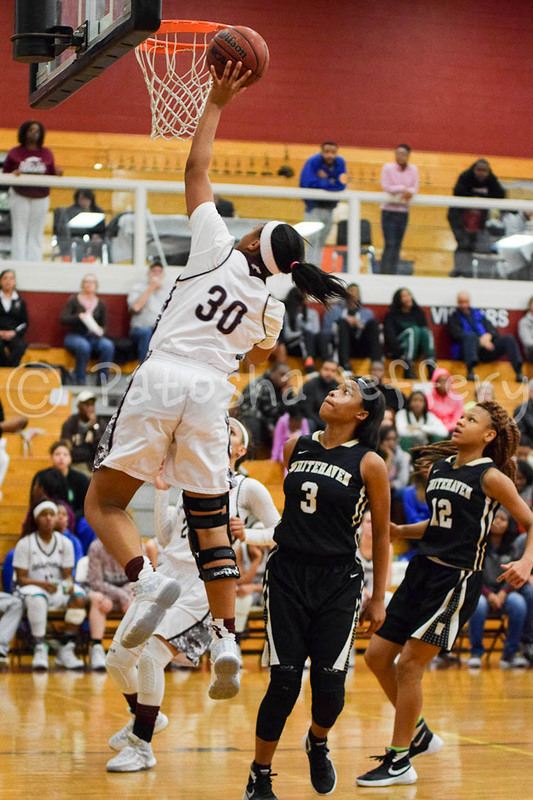 Collierville (64) — Daija Boyd 3, Vanessa Christensen 2, Trinity Farmer 2, Kyra Pryor 14, Destiny Shaw 6, Alexis Taylor 8, Jada Taylor 10, Lauren Taylor 19. Mountain Home-Ark. (66) — Daniel 12, Hudson 24, Zimmer 3, Walker 3, Pfeifer 10, Tabor 6, Martin 8. Records — Collierville 8-4, Mountain Home 5-5. Northpoint (43) — Ashtyn Baker 15, Lauren Gross 2, Hannah Shafer 2, Jade Wells 20, Lindsay Whiteside 4. Arlington (47) — Raegyn Branch 17, Hailey Hammonds 2, Ashley Lee 2, Callie McMorran 5, Tori Sewell 9, Caitlyn Wilson 12. Records — Northpoint 5-1, Arlington 4-3. Northside (53) — Davida Beal 4, Charlesetta Riley 7, Starkisha Saine 28, Christianna Taylor 10, Trakesha Whiting 4. Carver (48) — Brittany Davidson 4, Sydne Harris 9, MaKayla Maxwell 17, Tarciana Sutton 16, Roro Williams 2. Records — Northside 2-2, Carver 0-5. New Albany-Miss. (42) — Harris 3, Bridges 25, Anderson 2, Golden 5, Smith 1, Sanders 2, Jones 4. Center Hill (53) — Victoria Dailey 5, Carrington Kneeland 12, Kaylan Morris 5, Kirmesha Oliver 19, Jada Spratt 5, Ariel Tunstall 7. Hamilton (58) — Samantha Hill 2, Myeala Isaac 12, Shamya London 10, Undrea Porter 6, Takya Reid 6, Tesia Thompson 20, Darry'l White 2. Craigmont (47) — Danielle Conley 19, Keveona Fayne 11, Akeria James 1, Morgan Morris 9, Jessica Neal 5, Jasmine Thornton 2. Kingsbury (36) — Laterykah Austin 5, Taya Banks 7, Canzis Echols 21, Mwanita Neema 3. ECS (46) — Emma Baltz 4, Hope Gribble 9, Daisha Jiles 4, Emily Lytle 20, Jordan Shackleford 7, Claire Waddell 2. Records — Kingsbury 1-2, ECS 6-3. St. Agnes (26) — Amanda Lammey 12, Lauren Lewis 1, Caroline Pietrangelo 4, Lauren Ryan 8, Amelia Wigley 1. Lausanne (50) — Breanna Bullock 4, Kat DelPriore 5, Sarah Edwards 4, Taa'lor Fondren 8, Addie Haverkost 3, Alex Henry 2, Keyla Pointer 2, Selena Pruitt 22. Briarcrest (37) — Morgan Hunt 11, Marika Owens 6, Savanna Owens 15, Jewel Robinson 2, Rachel Sullivan 3. Marion (45) — Selby 6, Boykins 10, McCray 7, Clay 4, Boston 9, Day 9. Records — Briarcrest 3-4, Marion 5-3. Millington (19) — Tamia Aldridge 2, Bria Barnes 6, Traci Clark 2, Keyona Johnson 9. Munford (60) — Deasha Banks 7, Gabby Crawford 15, Ali Gover 2, Shania Johnson 8, Johnna Jones 12, Deja Potter 11, Kennisha Mason 3, Emma Bowman 2. Mitchell (83) — Vertonia Bady 13, Dominique Chatman 26, Chancey Henderson 2, Anterria Jackson 5, Derinisha Taylor 20, Anterria Willis 12, Zakiyyah Withers 5. Oakhaven (44) — Tayonia Ash 2, MiKayla Beamon 8, Corlishia Howard 28, Evetta Shannon 4, Brandee West 2. Records — Mitchell 7-3 (3-0, District 16-A), Oakhaven 4-3 (1-2). Soulsville (17) — Brianna Brown 1, Lauren Mays 2, Yuneique Meredith 8, LaTerica Davis 2, Kaylin Fields 3, C. Butler 1. Power Center Aca. 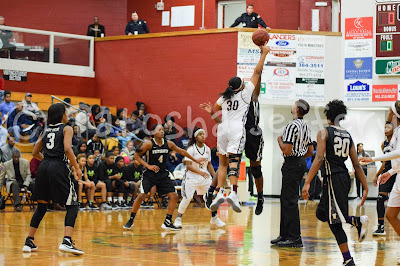 (46) — Kelsey Banks 2, Surina Finnie 20, Jurica Garrett 8, Zebriana Lee 3, Jasmine Smith 7, Rahja White 2, Makaila Wright 4. Records — Power Center Aca. 4-2 (2-1, 16-A). Melrose (38) — Keanna Conner 12, Jatera Miller 3, Destynee Smith 4, Joelysa Spencer 7, Georgetta Sturghill 3, Zanndrea Watkins 9. Sheffield (43) — Ayonna Beason 3, Breanna Beason 12, Miata Borders 14, Nikita Mays 6, Cabria Thomas 6, Destany White 2. Records — Melrose 4-5, Sheffield 3-5. Ridgeway (57) — Takesia Barnes 4, Brandi Beasley 17, Mericle Blake-Hall 8, Elizabeth Dixon 16, Cassye Greer 6, Jamilla Hamlett 6. Southwind (55) — Kesala Allen 1, Asjah Anthony 3, YáTaria Coleman 10, Pinkie Fossett 6, Kira Lowery 10, Essence Rankin 9, Ebony Shaw 16. Records — Southwind 5-1 (1-1, District 15-AAA). Harding (50) — Zaria Christy 2, Jacaila Davis 5, Dria Ellis 8, Valecia Harris 5, Anna Horner 12, Antoinette Lewis 14, Elaine Savage 2, Callie Stubbs 2. St. George's (15) — Katherine Clayton 2, Ann Ragan Grissom 4, Grace Kenley 6, Adi Thrasher 2, Brook Goodman 1. Records — St. George's 1-2. MASE (56) — Rebekah Mitchell 3, Kyla Moore 6, Taylor Robinson 12, Shernika Spencer 21, Breyanna Warren 12, Kayla Foster 2. Westminster (66) — Leah Campbell 2, Sarah Folk 5, Clara Halford 8, E.A. Hickman 2, Laurel Martens 9, Jessica Poovey 8, Ashton Storey 20, Georgianna Wells 12. Bolton (55) — Toni Green 4, Kiki Logan 5, Amrie Nickelson 6, Taylor Smith 2, Heaven Thompson 8, Kerrice Watson 16, Misha Wright 14. 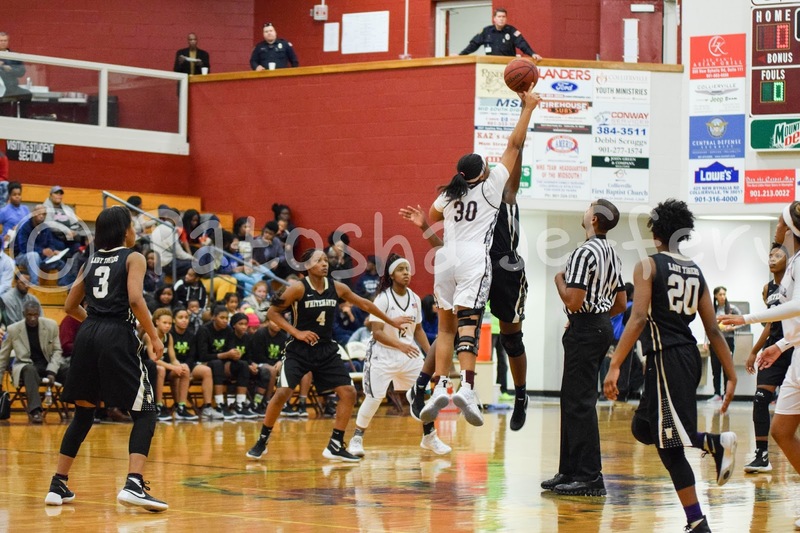 Whitehaven (63) — Ebony Malone 7, Brianna Shaw 5, Shmiya Ward 2, Alexus Williams 13, Ariel Williams 21, Jayla Woods 6, Lavasha Jackson 2, Brianna Pettis 7. Records — Bolton 3-8, Whitehaven 5-1. Houston (83) — Melisa Carter 3, Shaela Gardner 6, Madison Griggs 5, Jayla Hemingway 9, Sammiyah Hoskin 8, Rochelle Lee 6, Sydney Malone 15, Kelsey Nadler 3, Jaida Roper 18, Shannon Sharp 9, Kelsey Trice 1. Wooddale (6) — Tatianna Kimber 2, Takayla Roach 2, DaJa Powell 1, Lia Carter 1. Records — Wooddale 0-4 (0-2, 15-AAA). FACS (66) — Kristen Brooks 3, Kendall Laury 3, Bionka Massie 30, Carmen Moore 14, Rachel Nix 1, Riley Willard 13, Kallan Gresko 2. Sacred Heart (10) — A. Easley 1, C. Richardson 4, B. Marks 2, N. Smith 3. Collierville (60) — Daija Boyd 6, Trinity Farmer 11, Kyra Pryor 12, Destiny Shaw 10, Alexis Taylor 2, Jada Taylor 10, Lauren Taylor 9. Farmington-Ark. (53) — O'Connell 14, Tevebaugh 2, Journagan 4, Brown 11, Hamley 16, Parsely 4, Oxford 2. Marcus L. Ingram enters his first year as an Assistant Coach and Director of Basketball Operations with the Jackson State University Women’s Basketball Program. As Director of Basketball Operations/Assistant Coach, Ingram will be responsible for coordinating game scheduling, travel, film exchange, recruiting and academic advising. Prior to joining the Lady Tigers, Ingram served as the Director of the Memphis AAU Girls/Boys Basketball program in which he recruited the athletes to start the program. During his tenure, Ingram’s Memphis AAU Girls earned four 1st Place awards to include 1st Place Crossover Classic (St. Louis, MO), 1st Place Texas Tip Off Hoops Tournament (Dallas, TX), 1st Place Dream Come True Classic (Memphis, TN), and 1st Place Georgia Tarheels Sports Memorial Day Tournament (Atlanta, GA). Ingram coached a total of six years to include Germantown Middle School Girls/Boys Basketball, Appling Middle School Girls Program, and Memphis AAU Girls/Boys Basketball. Ingram is well-known for his dedicated work with student athletes, recruiting, breaking down films, fundraisers, and facilitating summer basketball camps in the greater Memphis, TN area. Ingram is a native of Ruleville, Mississippi. Ingram obtained an Associate Degree from MississippiDeltaCommunity College in Secondary Education and a Bachelor of Arts Degree in History from Jackson State University. Marcus Ingram is the proud father of one daughter, Tamara G. Ingram. MHEA (49) — Ashley Carson 9, Jamie Crum 23, Gigi Lewis 2, Kylie Loadholt 4, Lindsey Vaughn 11. Bartlett (48) — Karagan Coggin 2, Stella Gill 1, Jessica Jackson 10, Ashley Payne 10, Nyla Smith 11, Dee Dee Williams 9, Elizabeth Williams 5. Craigmont (56) — Nakiya Brown 2, Danielle Conley 17, Keveona Fayne 3, Akeria James 3, Morgan Morris 21, Daja Scurlock 10. Cordova (43) — Chardonney Brown 1, Taylor Christian 2, Zakyia Head 10, Deaundra Poe-Wilkins 9, Jerhonise Rollins 7, Adreanna Wrister 14. Bolton (39) — Toni Green 12, Kiki Logan 4, Taylor Smith 2, Heaven Thompson 11, Misha Wright 8, Alissa Bateman 2. Northpoint (76) — Ashtyn Baker 10, Lindsay Bramlitt 6, Lauren Gross 18, Hannah Shafer 4, Jade Wells 20, Lindsay Whiteside 18. Records — Bolton 3-6, Northpoint 5-0. W.E.B. DuBois (52) — Alexis Acuff 23, Madalyn Acuff 9, Christal Harris 5, D. Nelson 2, J. Bachus 13. 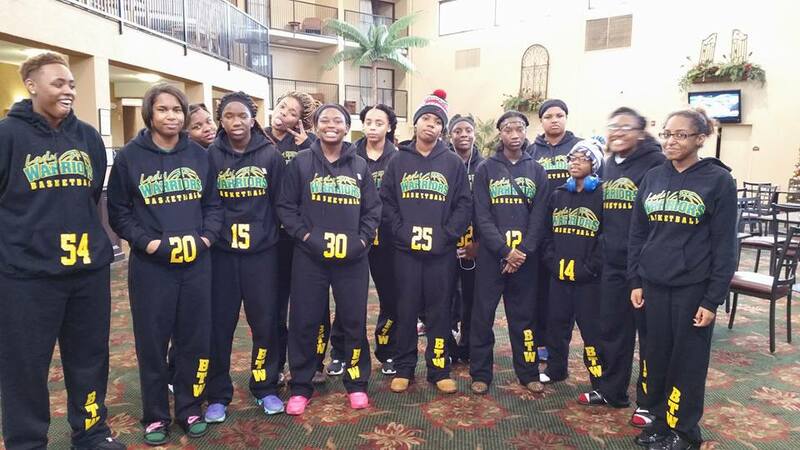 Washington (50) — Carnessia Griggs 8, Derrinesha Jackson 10, Myneshia Johnson 5, Asia Mosley 15, Niesha Thomas 4, Tiana Williams 8. Records — Washington 2-3 (2-1, District 16-A). Collierville (53) — Daija Boyd 2, Vanessa Christensen 3, Trinity Farmer 15, Destiny Shaw 13, Alexis Taylor 5, Jada Taylor 4, Lauren Taylor 11. Hillcrest-Mo. (61) — Hale 2, Brooks 3, Gerald 36, McCullough 1, Pryor 3, Jarman 8, Johnson 4, Williams 4. Records — Collierville 7-3, Hillcrest-Mo. 3-2. Kayli Skelton, Fayette Academy: The senior turned in one of the top performances of the season Tuesday, scoring 39 points and grabbing 15 rebounds as the Vikings held off FACS in double-overtime, 70-63. Earlier, she scored 22 in a 61-28 victory over West Memphis Christian.